Brought to you by JAW Global, JAW Pullup Grips are the premium fabric grip available on the market. Cross-training enthusiasts across the world have spoken and their choice is JAW! These grips consistently outsell all competition and receive the highest customer ratings across the board. Handmade in Australia, there is no comparison when it comes to quality. Often imitated, but never replicated, JAW Pullup Grips aim to satisfy your hand care needs. Designed to move with the reflexes of your hand and wrist, JAW Pullup Grips allow maximum mobility and comfort while you work out and eliminate friction with their incredibly soft, durable, hand-stitched fabric. Even if you already have rips or blisters, your palms will remain completely protected. Sweat much while you exercise? No biggie. JAW Pullup Grips do not harden from perspiration. 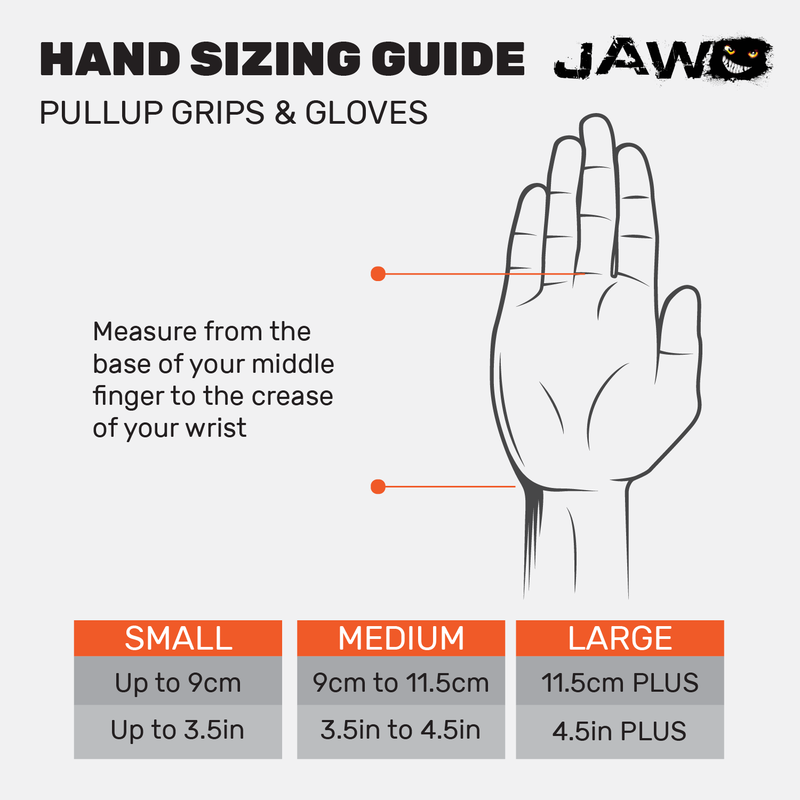 The success of JAW Pullup Grips is not solely attributed to their usefulness with Pullups, since they also work phenomenally well with most activities that require hand protection! When sized and worn properly, JAW Pullup Grips should be very snug like a sock, but they should not cause discomfort.